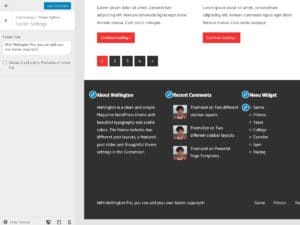 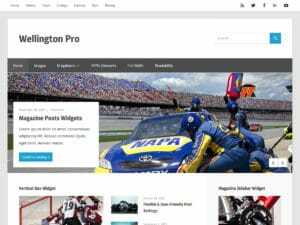 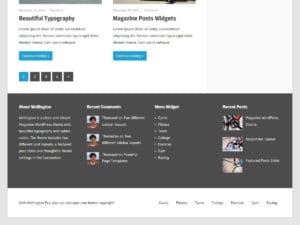 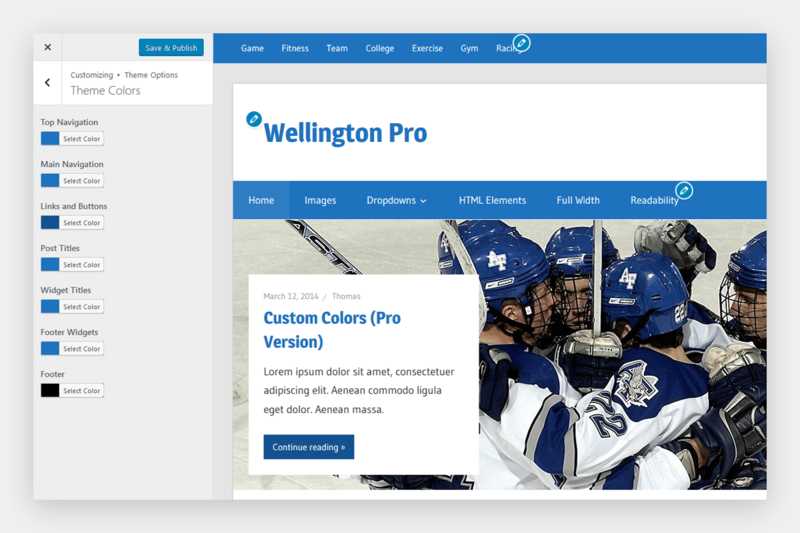 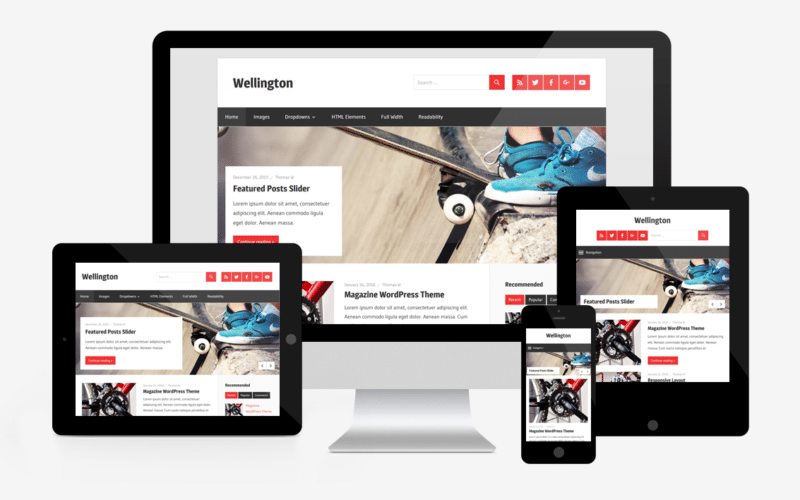 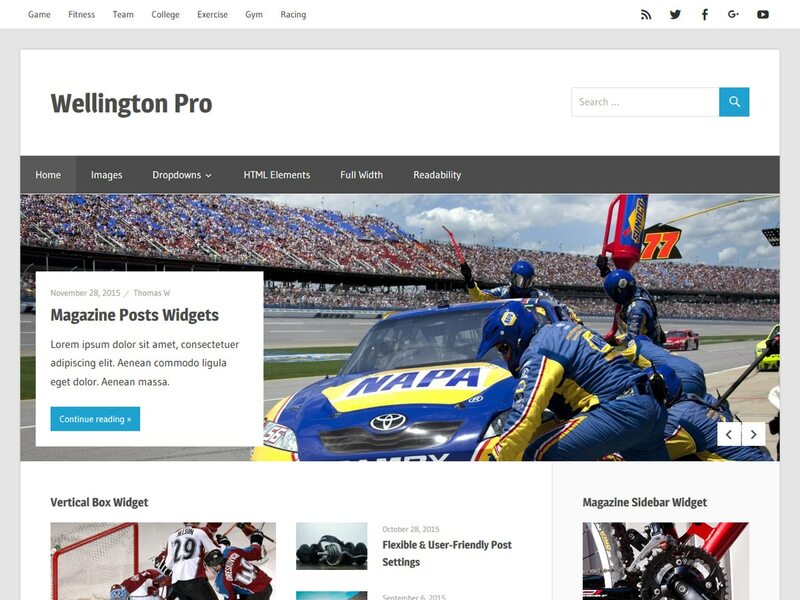 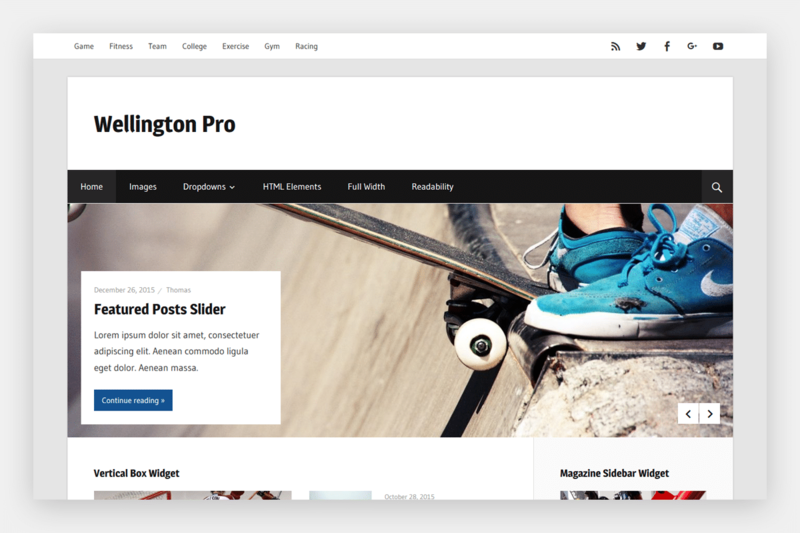 Wellington Pro is an add-on plugin for Wellington with additional customization features, including custom colors, custom fonts, custom menus, Magazine widgets, and footer widget areas. 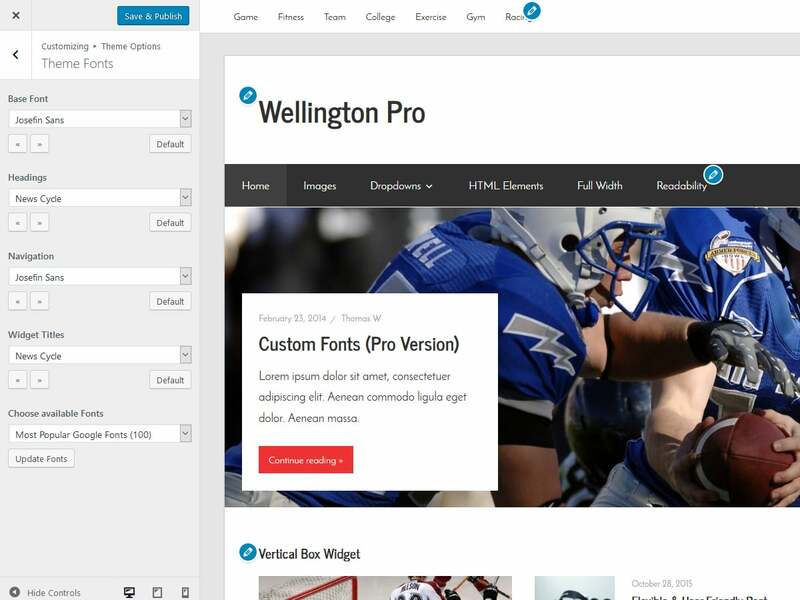 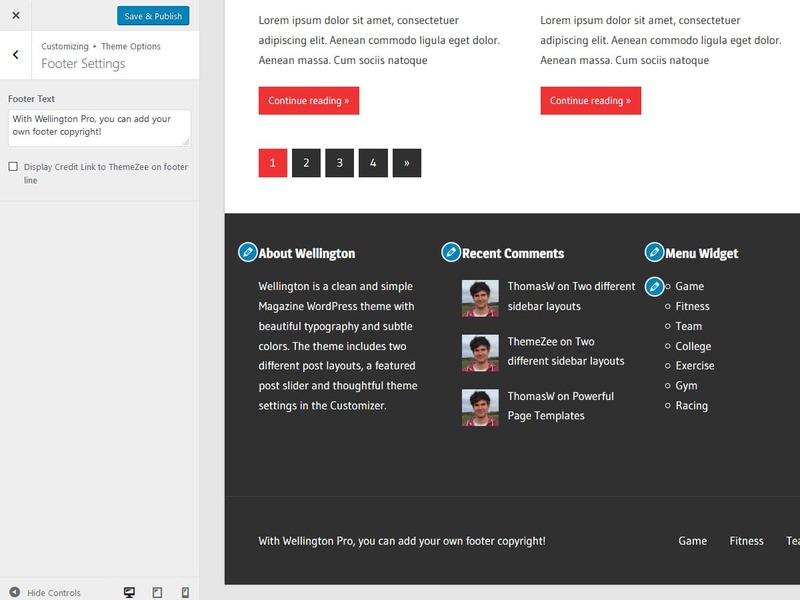 Wellington Pro adds two new sections for changing colors and typography in the Customizer. 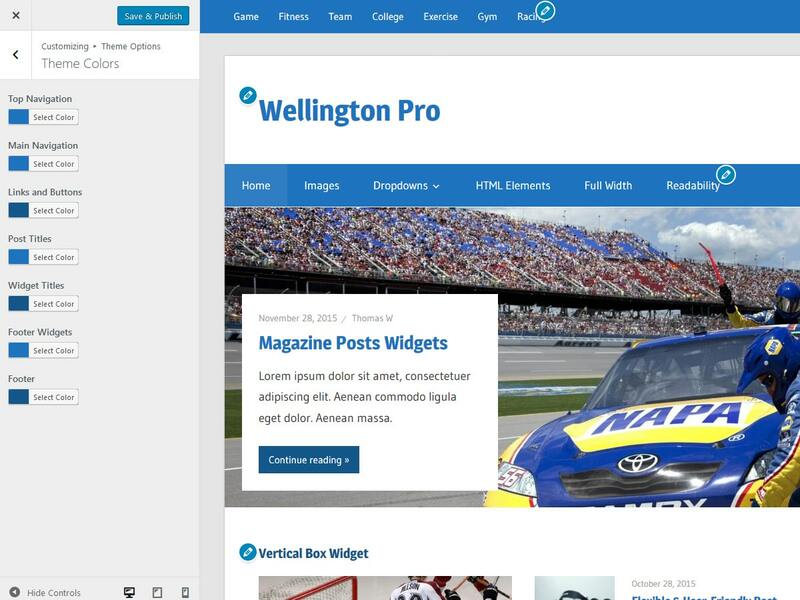 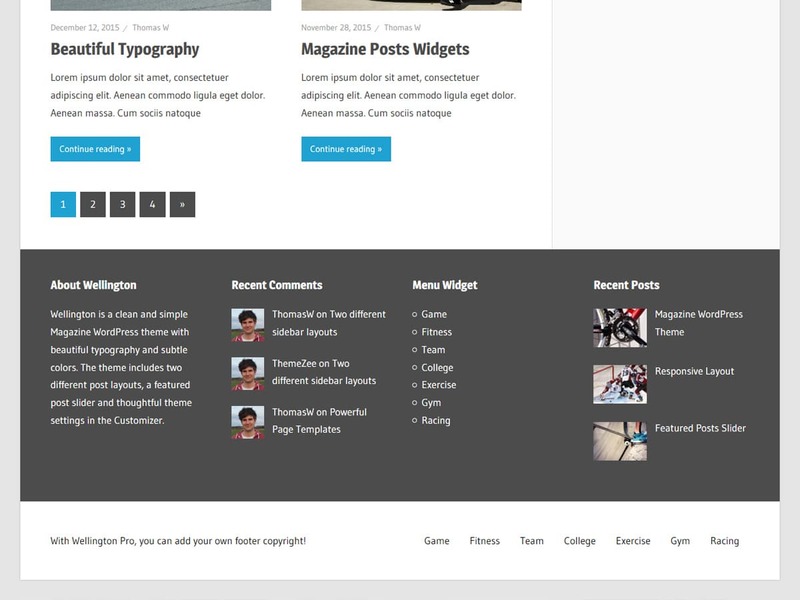 You can easily change colors of links and buttons, navigation menus, titles, widgets and footer areas.